Welcome and thanks for checking out our site! We hope it helps you get an idea of what our community is all about. Know that you are 100% invited and welcome to come join us as you are. Gateway is a safe place to ask questions, explore what it means to believe in God, and to experience why Jesus is such good news for your everyday life. If you're new to Gateway or to our site, use the following as a quick launching point as you begin to explore what life as a part of Gateway looks like. What we value is what we orient our lives around. 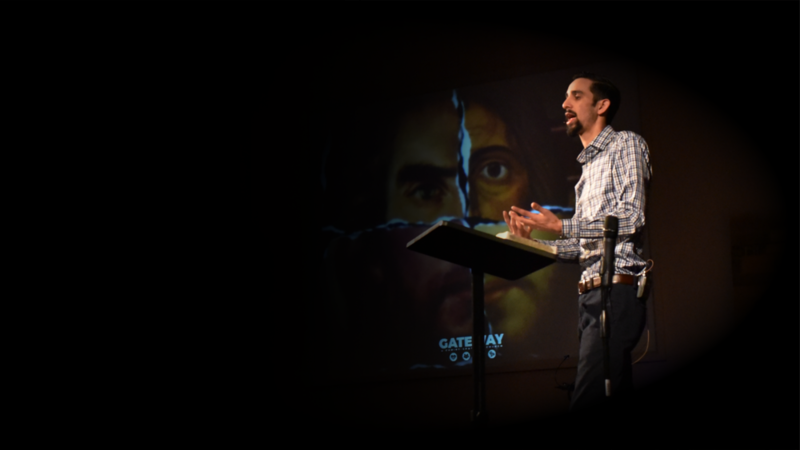 At Gateway, we believe that by orienting our lives around anything but the God of all life, we have rejected Him and have earned eternal separation from Him - bringing spiritual & physical death. That bad news is met and conquered, however, by the life-giving good news of perfect, blameless Jesus coming and taking the penalty we righty deserved completely on Himself. When we center our lives around this good news of what Jesus did (or "The Gospel"), we don't just have life, but we have life the way it was always meant to be - to the fullest. Once we've experienced the goodness of God by His sheer grace, we are unable and unwilling to go on living as if we never had experienced Him at all. Because our God is endless, having no beginning and no end, so are the joys found in Him as we experience Him over and over again, deeper and deeper. This is the process of growth at Gateway that is instrumental in Him being known in your life and the life of others around you - from your family to your neighbors, coworkers, friends, acquaintances & beyond. The good news of Jesus meets us in every circumstance, every challenge, every sin, and tells us that Jesus is enough. Because of His foundational role in our lives, we are lifelong learners of Him - being built up through the preaching of God's word to us about Himself. Explore our sermons, blog, & more as we seek to trust more and more in our one true Hope.